That’s how Nelson Mandela said he wished to be remembered. It’s common to talk about following your passion, and using the word ‘passion’ conjures not only positive intent but also a happy, even easy life in its pursuit. Though the people we remember, those we would describe as remarkable, who impact our lives whether on the world stage as the great leader of a country, or just the lives of one or two, they don’t seem to follow the easy life. The Free Dictionary suggests synonyms for passion including fervour, fire, zeal and ardour – these get closer to a better definition for me. If it is to guide our contribution to the world, then surely that is something about which you would have fervour, fire, zeal and ardour. The great man used the word duty. 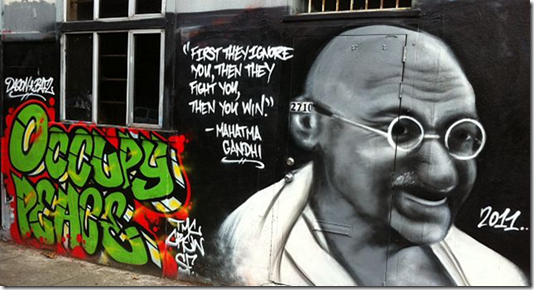 In our world of autonomy, where we may feel we have a right to happiness, duty is not a word we often use. Following our passion suggests that we make the world fit our needs, the needs of self, which we sometimes shorten to ‘selfish.’ Duty suggests the opposite – serving, doing what is right irrespective of the personal consequences. But then, passion is used to describe the final path to crucifixion took by Jesus Christ, on his path to save. 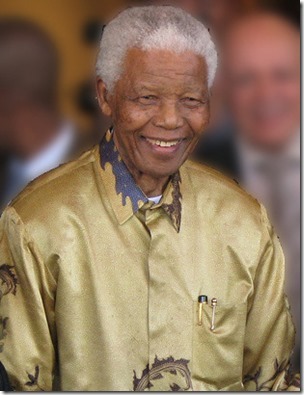 Nelson Mandela, as prisoner 46664, somehow found it in himself to take the road of peace – he chose to love his aggressors rather than to fight them. Perhaps passion is the right word, and it’s simply about direction; a passion for others, for compassionate justice, for peace. The world may have lost a great man last night, but we are blessed and forever changed by his passion to do what was right, and we live with a better world because of a man who did his duty on earth. Mark Richardson at 46 years old, is married and continues to enjoy a successful career as a sales manager in a large software business. He’s doing well, but that’s not what makes him remarkable. In 2003, aged 37, he’d achieved a five year goal of competing in his first Ironman competition. When he had set the goal for this race (back in 1997), the effects of concentrating on his career were showing not just in the pounds in his pocket, his weight was reaching a tipping point he knew had to change. Being able to compete in an Ironman competition is a goal that few of us will attain, requiring the athlete to complete a 2.4 mile swim, followed by a 112 mile cycle ride and to warm down competitors have to complete a full 26.2 mile marathon run. And let’s not forget it’s a competition – so not only are there no breaks in-between each of these individually gruelling activities, you’re also trying to catch the athlete ahead of you, or stay in front of the one who’s chasing. 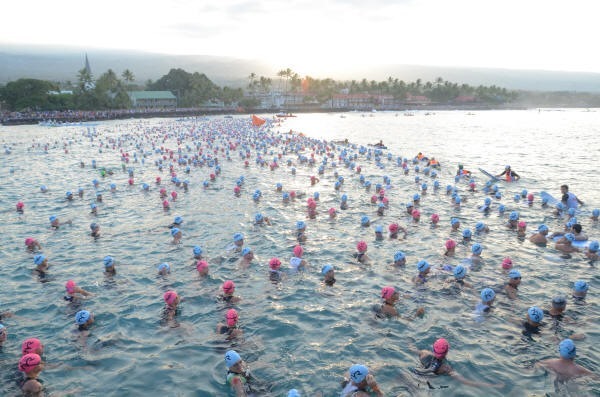 There’s the obvious competitive angle – expend too much energy in holding your place on an uphill cycle challenge, or not trying quite as hard as you could have at the start of your swim (see the heading photo! ), can have major consequences. Then there’s hydration – drinking too much or too little, too soon or too late can be devastating. Refuelling – sugary drinks, natural high-energy foods, or high-tech glucose sachets, get it wrong and you’ll just fade away. What about climate, particularly if you’re competing in a different country. So, although Ironman is not the only extreme endurance sport (I’ve seen the blisters of a 250 mile desert challenge), it’s up there. Back to where we started, Mark built his endurance sufficiently to compete in his first Ironman in 2003 – alone a remarkable feat. But my fascination with Mark’s story comes not from his race endurance – it starts after that 2003 race. Yes, remarkable achievement goes together with passion, positivity and purpose. Your purpose might be as simple being able to afford your own home, be healthy enough to take care of your children or to change the world for the better – purpose is personal. The point I want to highlight is that remarkable achievement takes a long-term commitment, an endurance of a different kind, continually drinking from your reserves of self-discipline. 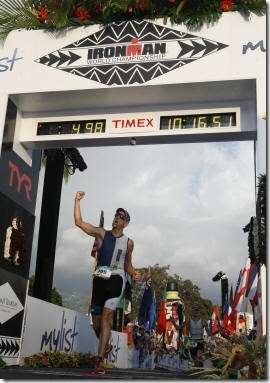 The goal that Mark set for himself back in 2003 was to make it to the Ironman world championships within 10 years. Remember, at the time he’d just completed his first Ironman, aged 37. 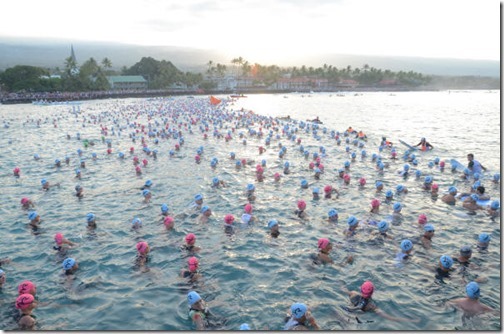 For most of us, competing in a single Ironman would be a challenge too far. But he set the 10 year goal, and stayed doggedly with it. He describes the goal as being like a self-cantering compass in life. Helping him get up on cold, dark winter mornings to push out another 20 miles; through thousands of hours of training, competition and injury, day, week and year after year – that is remarkable. In 2012, Mark found himself at the start line of an Ironman in Hawaii. Almost ten years after setting the goal, he had qualified for and was competing in the Ironman World Championships… and yes, he finished, you can see him in the photo crossing the final finish line. And true to form, he set himself another goal – to get on the winners podium for his age group, firstly at any race and secondly at the world championships (an improvement of 35 places). So, how’s your determination, your self-control and ability to commit and stick to your plan over the long term?… Remarkable I hope.